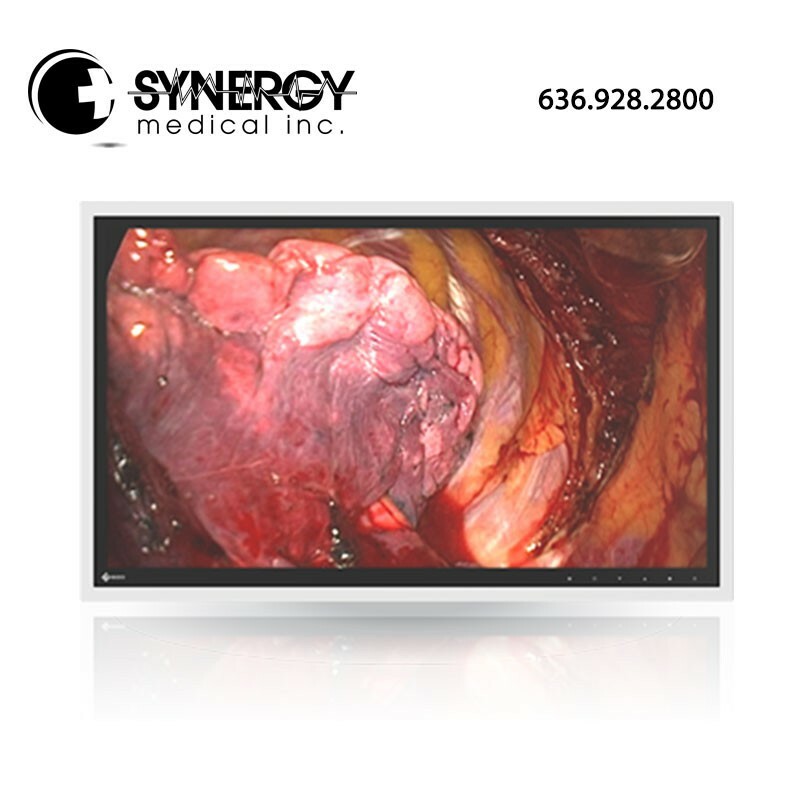 This Full HD widescreen monitor is ideally suited for viewing images in surgical environments. With its modular design, the Eizo RadiForce EX270W surical monitor is streamlined as a future-safe platform for evolving environments and further integration into a wider system. EIZO offers a growing range of input modules to allow future-safe connections from legacy or state-of-the-art systems to a streamlined monitor optimized for the high performance needs of the operating room. With a native resolution of 1920 x 1080 and a typical brightness well in excess of 600 cd/m2, the monitor can display original, 1080p (Full HD) images without blurring or distortion irrespective of the local ambient lighting conditions. With 5 factory calibrated look-up tables and integrated mirroring functions, the Eizo RadiForce EX270W medical display monitor can be quickly and easily adapted to the local viewing conditions and preferences of the surgeon. To ensure the most accurate and consistent images possible, EIZO carefully measures and sets every tone on the production line to offer image quality tailored specifically to medical needs like gamma 2.2 or DICOM Part 14. Engineered to dissipate heat without a fan, the EX270W generates no distracting noises and does not circulate dust and germs or disturb the controlled laminar airflow within the operating room. The monitor can be easily mounted onto new or existing VESA compliant suspension units and flexibly positioned with the forward spacer and positioning rail mount accessories.